Preserve the memories of your special day in elegant home decor! Looking for a unique way to preserve the beauty of your beautiful bridal bouquet? 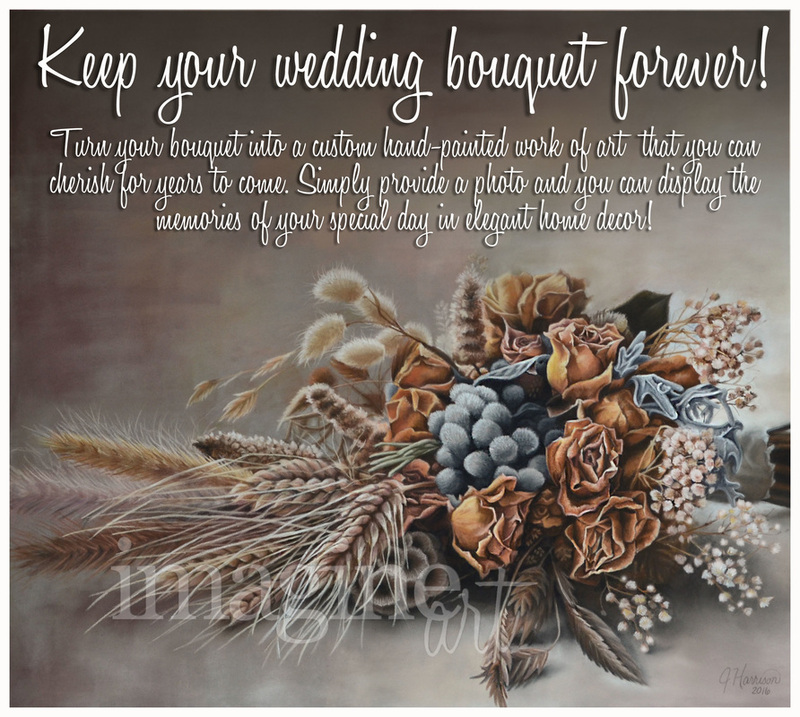 ​A custom pastel painting is the perfect way to enjoy the elegance of your special day in a work of art to display in your home!